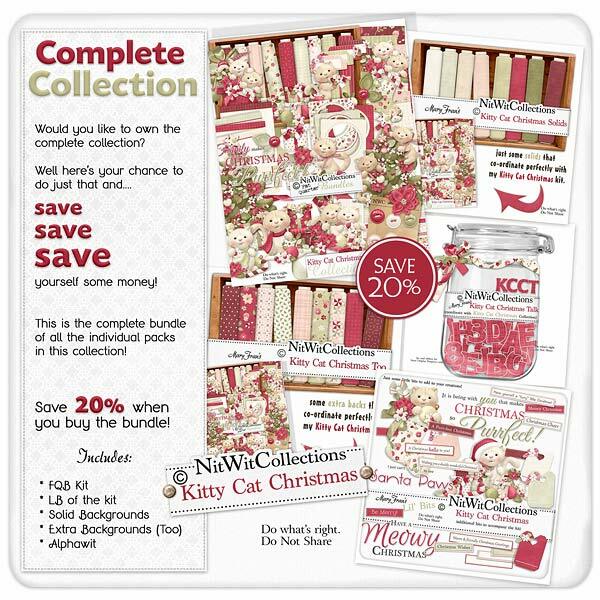 Bundled "Kitty Cat Christmas" Collection brings Christmas to us with sweet sentiments, rich reds and soft pink and green tones. Creating with this wonderful Season's soft side gives you so many options!! This digital kit contains single elements such as presents, a Christmas tree, holly and a poinsettia and fully "scened" embellishments with our friendly cats in trees, in stockings and with gifts. Don't think of creating with this kit as only cat based....the inspirations are many!